When I started this blog back in 2008 after Aiden was born, I loved having the ability to sit down at the computer and document the things that were going on our life at the time. I did a google search for an online journal and went from there, choosing Blogger because of it's simple user interface. Having zero html experience (other than the few simple commands I learned in a computer programming elective in college), I knew I wanted something that gave me a lot of freedom to edit my little creative space without needing a lot of the how-to knowledge for coding. I began with a very generic template, adding a few personal touches along the way when I had time. I used PowerPoint to mock up headers with our family's pictures and wordart titles and aside from tweaking the color scheme here and there, that was about the extent of my customization of More Skees Please. After all, the only people who ever saw this site were my immediate family members (well, some of them anyway...I still don't think my dad ever reads my blog). For awhile my site was private - where you needed to be added to an approved list to access the link. I was a bit overwhelmed by the world wide web and wasn't so comfortable putting my life "out there" to just anybody. But then, I realized that family members were really interested in the information about Aiden's care and most were finding our positive approach to our journey really inspiring - and I knew that I might possibly benefit other family's going through the same thing, however rare it was. I flipped the switch to public and the rest is history! Never would I have imagined that over the last 5 years I would be contacted by family's from around the world - some who have been touched by Apert syndrome themselves, others who happened across our story and have continued to follow along and still more who have no connection to the special needs world at all and simply say they like my writing. I've made lasting connections. I've raised awareness. I've developed a platform to advocate for my kids. And I've been able to do all of that by sharing my personal life with anyone who might be interested in reading. Some might think I'm crazy, but this experience has been and continues to be so very rewarding! 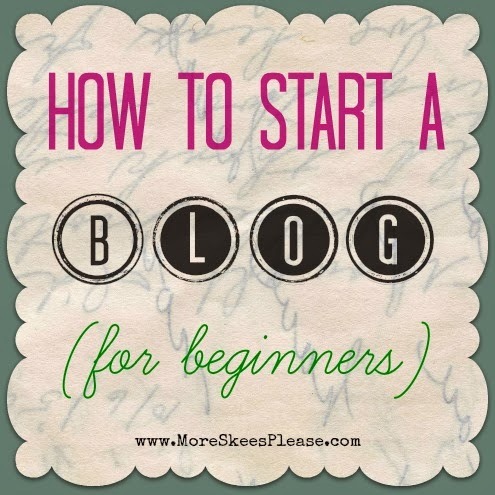 Many people have asked me through the years how to go about starting a blog of their own. So I'd like to give a few practical tips on the subject. 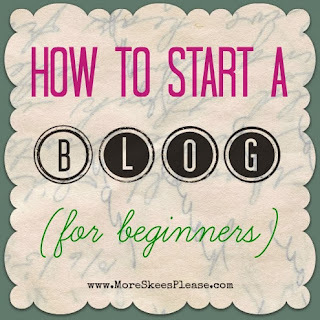 Keep in mind, you can always google "how to start a blog" and find hundreds of sites with a much more detailed road map for carving out your own little online space. This is just the basics - and from someone who has pretty much taught myself from day one (in other words, NOT a professional by any means). Before getting started, the first step should be to ask yourself some basic questions. Do you have a particular niche (crafting, cooking, fitness, etc.)? Are you looking to monetize your blog with advertising/sponsors or do you simply want it to be a place to jot your thoughts? What kind of audience do you want to have - family and friends, the general public, or do you want it to remain completely private. Knowing these things ahead of time will help you determine which blogging platform you may want to choose, what security settings you will need to set up (if any) and just how much you are willing to share. There are many options for free online blogs out there. I encourage you to click on each of the below and check out what they have to offer. I chose Blogger from the get-go because, as I said before, it seemed very simple to use without having to know a lot of html programming. I could drag and drop, edit my layout and upload photos very easily. The text editing is very similar to what I'm used to in Microsoft Word. There are also a lot of options for personalizing the look with templates, backgrounds and more. Throughout the years I have attempted to switch my blog over to a different platform, like WordPress, but I always end up right back here on Blogger. It's just a matter of personal preference so you'll want to play around with each of the options to see what you're most comfortable with. FYI-- there are some paid versions of blog platforms that allow you more options such as built in hosting, more advertising capabilities, tracking, etc. but I chose a free site.Visit this article from Lifehacker if you want more info about each of the above. Depending on your blog's purpose, you will want to choose a blog name that you can live with for a long time. Once you decide on something, you won't want to change it - especially if you plan on making your blog public and trying to build an audience. I started out with www.theskeesfamily.com because my goal was to write solely about...well, our family. And it was only for family as well. I purchased the custom domain name (I used Go Daddy) which allows you to "own" the website url. Otherwise, Blogger gives you a default name like www.theskeesfamily.blogspot.com. Once I began to broaden my writing focus - and my audience - I made the decision to come up with a more catchy blog title which meant having to buy a different domain name to match. That's when I went forward with www.moreskeesplease.com and have stuck with that ever since. Once you have established a blog on one of the available platforms, you can dive write in to writing, or you can begin to add your own personal design touches (which I think is the fun part!) On Blogger you can pick a pre-made template or a more basic one that will allow you to customize it to your liking. I started out with a pre-made template because I dove right into the writing. But as time went on and I wanted to make it more my own, I switched to the more basic one and even uploaded custom elements by searching the web for "Blogger templates". You'll find there are hundreds of sites that offer step-by-step instructions to utilize some really cute free template designs. You should be all set! Click on "new post" (or whatever verbiage is used on the platform you chose) and write away. Hitting PUBLISH for the first time is exhilarating. Depending on how you want to grow your blog, and who you want reading it, there are various ways to share what you've just published if you should choose to do so. In Blogger, there is a "share" link from your list of published posts, but you need a Google+ account to utilize it so I never have. You can always copy and paste the link to your blog or the specific url to the new post (when in "view" mode) and include it in an email, post it to Facebook, etc. There are also services that can automatically share new blog posts across chosen social media platforms like Twitter, Facebook, etc. when published (Networked Blogs is one I have used). Of course if you don't want to share what you write, and want it to be for your eyes only, be sure to edit the privacy settings accordingly. That's it in a nutshell! In 6 easy steps you can be on your way to creating a personalized space online to document any and all the goings on in your life. There is so much more that I could talk about on this subject like: how to create sidebar images for categories, how to link social media within your blog (the "like" box for Facebook and follow buttons for Twitter, Pinterest, etc. ), how to create a custom header, and adding widgets such as the "You Might Also Like" one I have at the bottom of my posts. Maybe someday I'll write some tutorials - but in the meantime, do what I did and just Google it! 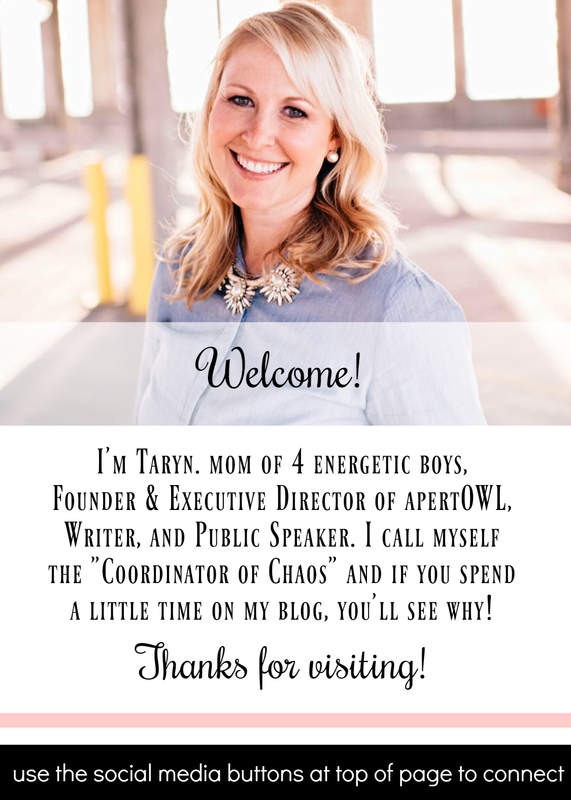 I'm always interested in reading new blogs so if you feel so inclined, feel free to share your link in a comment below and I'll check it out!